What happens to us when we die? Are Heaven and Hell real places? Or do we just cease to exist when we close our eyes in death? These are questions that have confronted most of us at one time or another. The New York Times best seller list has recently had at its top a wonderful little book that offers a glimpse at the afterlife. 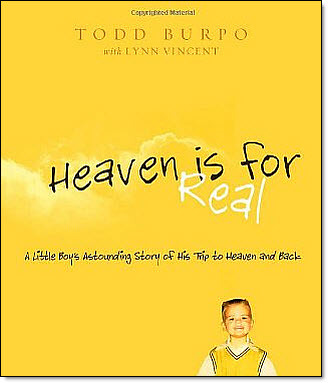 Heaven is for Real, by Todd Burpo, has become a publishing sensation, and the book is well worth the small amount of time it would take you to read it. It highlights the illness and subsequent trip to Heaven of Todd’s four-year-old son, Colton. I decided to download Heaven is for Real after reading an online review. I found that I could not put put it down. It was absolutely captivating. Heaven is for Real is written from a decidedly Christian perspective. Todd Burpo is a bi-vocational pastor of a small, Weslyan church, and Jesus is the central figure of Colton’s “heavenly” experiences. To the Christian, this book provides further evidence that the things we hold dear about our faith are real. We will see Jesus when we die. We will be in his loving presence for eternity. We will see, recognize, and fellowship with our departed loved ones. In short, the book provides hope. To the non-Christian, I would say read this little gem with an open mind. Listen to the words of this precious little child, and open your heart to his message. I strongly encourage you to pick up Heaven is for Real and allow it to bless you. Once you have done this, pass it on to someone else. We all need hope. What other books have your read recently that give you hope? There is an old saying that goes something like this: “What you do speaks so loudly I can’t hear what you say.” How true! Whether we realize it or not, we are always communicating. However, we may be sending our most powerful message by what we do, and it may be in direct conflict with what we say. We live in a world today where seemingly everything and everyone is jockeying for our attention. Between email, social media, the Internet, phone calls, texts, and face-to-face encounters, we are simply bombarded. Today’s social avalanche calls for new social skills. If we are not careful, we will be sending a very poor message to those who rely upon us for leadership. When someone is meeting with you, they need to have your full attention. If your computer is set to alert you every time an email pops into the inbox, you will become distracted and your guest will be shoved to the back burner. Turn off email notifications and check your inbox during pre-scheduled intervals throughout the day. If your office phone is equipped with a “DND” button, use it. If not, cut the ringer volume down and allow your calls to roll to voicemail. The person in your office requires and deserves your full attention. Jumping for a random phone call is discourteous to your guest. 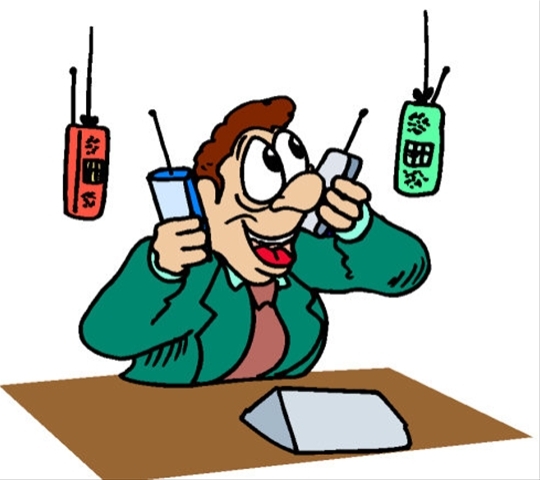 One of the most common distractions today is a cell phone ringing or chiming at an inopportune time. I have become so fearful of this happening that, by default, I simply keep my phone on vibrate. There are very few things that annoy me more than someone checking email or text messages while I am trying to speak with them. 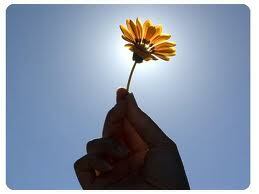 Again, give the person with whom you are speaking your full attention. Emails and texts can wait, and voicemail was invented for a reason. As John Maxwell stated in his book, Everyone Communicates, Few Connect: being fully present is a major step toward connecting with people. No matter what you do, you will communicate something. The question is, what? What are some other ways we can be more present in our daily interactions? Competition for a place on our middle school student council is fierce. Kids really want to be a part of this group, and they are willing to jump through several hoops to get there – even the dreaded speech in front of the student body! What they may not realize, however, is that we are actually going to call on our student council members to lead. More importantly, we are going to help prepare them for their responsibilities, now and in the future. Shortly after I came to Trinity, we established a “Lunch with Leaders” program for members of our student council. Once per month, a local leader stops by for lunch and an informal chat with our kids. We meet in a conference room, but the atmosphere is anything but stuffy. As the student munch away at their boxed lunches, our local leaders give their unique spin to leadership — its challenges and rewards. This is usually followed by a brief question/answer period. As time progresses, the kids ask more and better questions. They sometimes even show up with prepared questions for a particular guest! All in all, we have found our program to be a rousing success with everyone involved. My hope is that the time spent will inspire some of the future leaders now walking our halls. I look forward to the day when I can have them come and speak! Do you know of any great leadership programs for young people? It is my joy to serve as Middle School Principal at Trinity Presbyterian School in Montgomery, Alabama. We are launching an Apple 1:1 initiative this fall, and we are looking for ever more innovative ways to reach today’s young people. Sir Ken Robinson is challenging the status quo in education. His TED talks are riveting. Now TED-ED, under Robinson’s leadership, is putting together a Brain Trust of educators and other professionals to find better ways to prepare our kids for jobs that don’t yet exist. Visit the TED-ED Brain Trust site for more information. Do you plan to get involved in the TED-ED Brain Trust? Thankfully, most of the mail I deal with on a daily basis comes in my email inbox. However, as you might imagine, I still get a good bit of the old fashioned variety. Here are some things that I do to make the task as manageable as possible. I hope you find these suggestions helpful! I handle paper mail once per day – right after lunch. On my way back to the office from our cafeteria, I stop by the mail room and pick up whatever has accumulated in my box since the previous day. Usually, I can make it out of there with much less than I started with. This is because I toss as much as possible into the trash can or the recycle bin before I ever enter the hallway! 1. Discard it. This has usually been taken care of by the time I get to my desk, but sometimes a cleverly-addressed envelope will fool me and I’ll chunk the contents immediately. 2. File it. Either in my Tickler File (don’t worry, a post is upcoming on this one!) or in my permanent file. 3. Delegate it. This is pretty much the only time I use a sticky note. I will stick the note on top of the item, write instructions to whomever is getting it, and put it into the outbox to be distributed later. I look for as many possibilities to delegate as I can find. 4. Act on it. This is actually pretty rare for me. Usually, when going through mail I am giving each item one of the assignments above. However, from time to time I will knock out a quick item right then — but it has to be quick! Before you know it, I’m off to the next task or appointment. And my desk and mind are both clear! 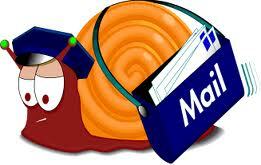 Do you have a system for handling snail mail? My college years were formative due in large part to the huge influence my band director had on me. He is an incredible character – unforgettable in every way. Folksy, down to earth, and always moving. Just being in his presence is motivating! While I was interning at a nearby high school, I got into a conversation with my cooperating teacher about the attributes of our mutually-admired college professor. After we talked awhile, he simply said, “Johnny Long gets things done.” In a nutshell, this was true. He had built a band program from one of thirteen members, to a widely recognized gridiron powerhouse more than three hundred strong. That doesn’t happen by accident! Dr. Long would love Seth Godin’s new book, Poke the Box. After all, he has been poking all kinds of boxes for nearly sixty years. 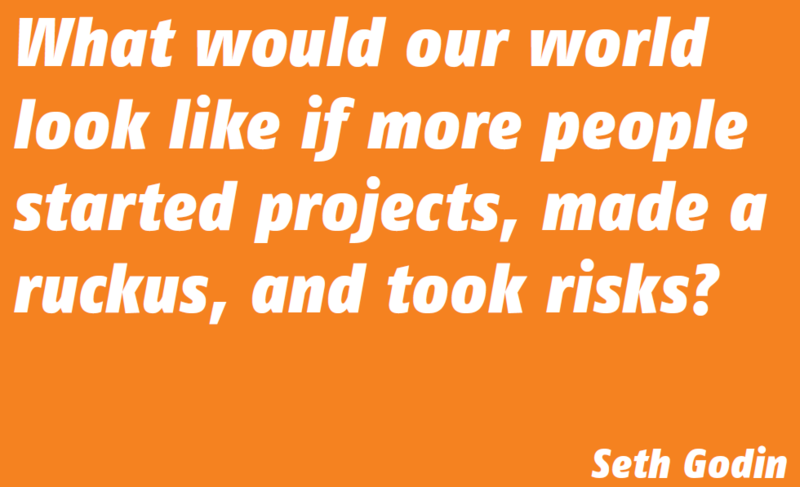 Seth lays it out, plain and simple: Don’t wait around to be told what to do – poke the box. Take the initiative. Get things done! I highly recommend this book (a very quick read) to anyone wanting to stir the waters and make a difference. You can even get a free, downloadable PDF workbook to get you moving. This is one of those that you’ll want to mark up, refer back to, and re-read. So, don’t wait around. Get moving and poke some boxes! Were you influenced by a “box-poker” during your formative years? As an educator, I always look forward to spring break. It comes at just the right time and provides an opportunity to catch one more big breath before the race to the finish line. How should I best spend this time? Over the years, I’ve come up with some answers that work for me. During the regular work week, I manage to get in a good bit of reading. However, this week I plan to really step up my game in this area. I will get up at the same time as usual — 5:00 a.m. — but, during this week, I will easily spend two hours reading before my morning workout. I can burn through a good bit of reading material in this amount of time each day, and I find the time to be well-spent and truly enjoyable. This year, I plan to take a good bit of one day and devote it to long range planning. I got the idea from Michael Hyatt in this post on his blog. In it, he recommends a quarterly review as an avenue to look ahead and plan. Spring break offers me my first opportunity to test this out, and I am looking forward to seeing how it goes. Spring break wouldn’t be spring break without some good old fashioned family time. My kids are still pretty young, and time spent with them now is an investment in their futures. You can bet that I will carve out a significant chunk of my day throughout the week to one of the most important areas of my life. I surely couldn’t go through a week at home with such beautiful weather and not work around the house. Spring break offers a time to get things spruced up and ready for longer days and more time outside. Summer’s coming, and I’m excited! How do you spend a week away from the office?